Do you want to attract a bigger audience to your blog? Are you wondering how you can write content that will generate more comments, shares and subscribers? To learn how to grow a successful blog, I interview Syed Balkhi for this episode of the Social Media Marketing podcast. In this episode, I interview Syed Balkhi, founder of multiple popular websites, including WPBeginner and List25. He’s also the founder of OptinMonster. Syed shares how he grew his very popular sites and provides actionable tips that you can employ to grow your own blog traffic. You’ll learn about the different types of content that work best and some profitable choices for monetization. Back in 2009, Syed did consulting work for small businesses, with a lot of the work retainer-based. To free up some time, he decided to switch his clients to WordPress, which would give them the ability to change their own text and not have to contact him directly. 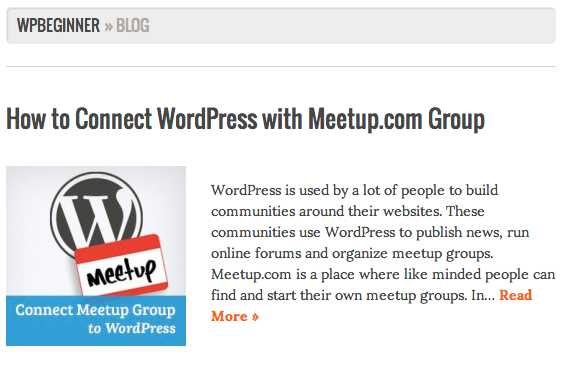 Once this change happened, Syed was still approached with the same questions about WordPress. At the time there was no other WordPress resource site out there for beginners. So WPBeginner was formed on July 4, 2009. 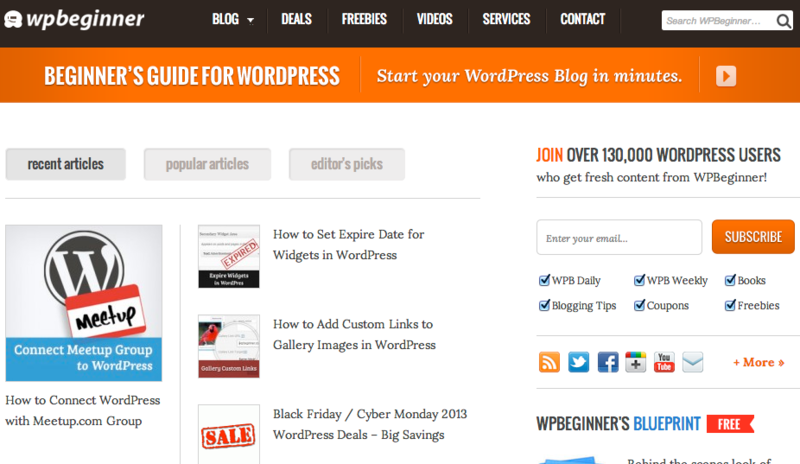 WPBeginner was started because so many people were asking the same questions about WordPress. Syed explains how his goal in the beginning was to produce multiple posts a day and answer all of the questions that he was asked. The idea was to put the answers on the website so he could link back to them, rather than send an email. When he noticed that other people were using the site, he knew there was definitely a market for it. You’ll hear how Syed used Twitter to help with content creation and why he used Digg and StumbleUpon to push articles. Listen to the show to find out why it was Syed’s goal to help individuals, rather than have hugely popular articles. Syed states that WPBeginner gets an average of 1.5 million page views a month and they have just over 70,000 followers on Twitter. Listen to the show to find out how these figures are similar to Social Media Examiner’s. From the very beginning, Syed built an email list, but he didn’t engage with it. At first, he didn’t realize the value of asking people to ask you questions. Once you have subscribed to WPBeginner, you are given the opportunity to ask one question. You’ll discover why there is huge value in this one question and how this has changed the way WPBeginner creates content. Syed used to be the only person who wrote articles, but the site now has multiple writers with a very good editorial workflow. Listen to the show to hear how the interaction and response to email has developed the WPBeginner community. Syed explains that his business is monetized through building WordPress applications and plugins. A lot of the time, it’s conversion marketing for clients. The WPBeginner brand allows them to position themselves as experts. Whenever somebody wants a WordPress company to work with, they automatically think of WPBeginner. You’ll hear how they use affiliate links for paid plugins. In the beginning, Syed tried display advertising. He had ads through AdSense, BuySellAds and private ad sales. You’ll find out why these ads didn’t work for the WPBeginner audience and how affiliate deals make more sense. Affiliate deals make more sense for the WPBeginner audience. Listen to the show to find out why we use DoubleClick for Publishers at Social Media Examiner. Syed explains that one of the biggest challenges they face is being able to stay up to date. Blog articles can become outdated, and because of WPBeginner’s reputation, people in the WordPress community hold them to a very high standard. So they have to make sure articles are updated to the best of their ability. The editorial team spends time making sure all articles are relevant and concurrently strives to produce new content. Listen to the show to find out why all of WPBeginner’s articles are how-to information. Syed explains that List25 is an entertainment site. 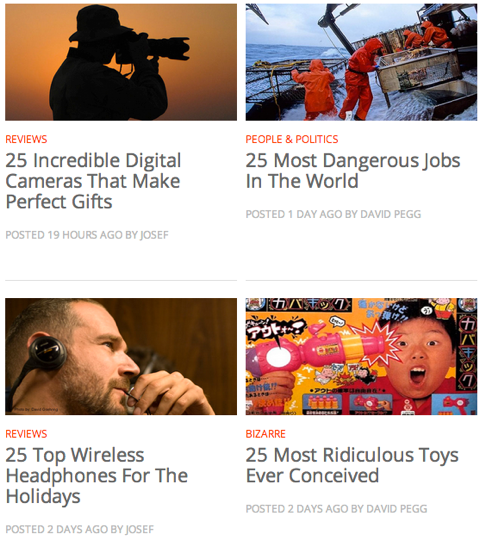 Each article relates to 25 things on a particular topic. The slogan is “Consistently Conciliating Curiosity.” You’ll hear the original idea that Syed had for a new site and how it turned into List25. List25 was launched at BlogWorld LA in November 2011. At present, List25 has over 250,000 Facebook likes, over 530,000 YouTube subscribers and 62 million YouTube views. The site gets tons of visitors every month. It’s growing at 52,000 YouTube subscribers a month. Syed believes the reason why it’s grown so quickly is because of the type of content. It appeals to the masses and is much more shareable. It raises curiosity in people’s minds. You’ll discover why list-based posts are very popular and shareable. One of the things that Syed did differently with List25 was to grow on all different outlets. You’ll find out why they have a lot of success on Tumblr and StumbleUpon, and how Syed uses Twitter search to ride the hashtag during holidays. Listen to the show to find out how content is created for List25. 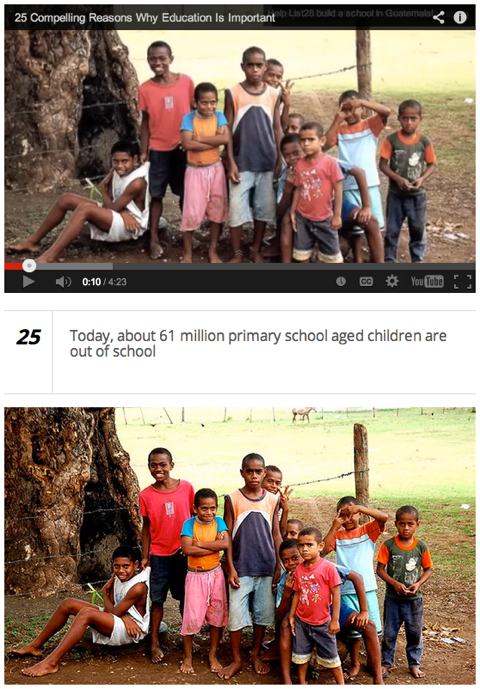 The videos on YouTube are created with the images from each article and made into a slideshow. Syed’s friend then does the voiceover from the article list. The images from each article are compiled into a slideshow-style video for YouTube. You’ll hear how they cross-promote their content and collaborate with various YouTube channels. Syed says that YouTube was an experiment that turned out to be great. They now plan to put more thought into the video layout. Listen to the show to hear how the YouTube channel drives people back to the website. Syed states that with List25, you can’t control what is said. There is so much up for debate. You can only moderate it or facilitate the discussion; whereas with WPBeginner, you can engage with users and help them out. You’ll find out why WPBeginner is easier to manage. The reason that List25 has grown a lot faster is because Syed has a network of power users on different social media networks. He understands the game of making it go viral. Listen to the show to find out why List25 is about stirring people’s emotions, whereas WPBeginner has a more practical approach. Syed says it all depends on your audience. On his personal blog he writes once or twice a week, on WPBeginner he writes once a day and on List25, they publish multiple articles a day. It depends on the model you have and what your goals are. Articles are published once a day on WPBeginner. If you’re a small business, a coach or in a specific industry, Syed advises you to create low-frequency, high-quality content. However, if you have a site where your primary means of revenue is display advertisement, you’ve got to get more page views. This means you have to provide high-frequency content. You need to provide your audience with multiple articles. Listen to the show to find out why it’s important to stay relevant with high-frequency content. Recently I’ve created a new video series. I want to share with you three simple steps for using testimonials in your marketing and why they are super-powerful forms of marketing. We did testimonials at Social Media Marketing World this year and we will use them to sell next year’s conference. Here are three simple steps for getting successful testimonials. 1. Obtain exit surveys through audio endorsements and video. This is very easy to do. You can use a survey system like SurveyMonkey. The two questions you need to ask are, “Would you recommend this to a friend or colleague?” and “If you were recommending this to a friend or colleague, what would you say?” You’ll find out why these questions are so important. Another powerful form of testimonial is to record someone who can recommend whatever it is you have to offer. You’ll hear a testimonial clip from Mari Smith at Social Media Marketing World. When you ask for a testimonial via video, you need to let the interviewee speak first and then always ask a follow-on question. It’s the key part of the testimonial. 2. Go through and identify the good testimonials that you might want to use. 3. Pull it all together. You’ll find out how we put all the video clips together to make one amazing video testimonial. Click here to see the full clip of all the great video testimonials we put together for Social Media Marketing World. It’s a 10-minute video, which includes a lot of people you respect such as Chris Brogan, Mari Smith and many others, who thought this was one of the best conferences they had ever been to. Connect with Syed Balkhi on his website, his personal Twitter account or the WPBeginner Twitter account. Look at AdSense, BuySellAds and DoubleClick for Publishers to monetize your blog with ads. Head over to List25 to see the type of lists they create. Take a look at List25 on Facebook and YouTube. Use Twitter search to find relevant hashtags. Listen to Episode 7 with Marcus Sheridan: Blogging for Business: How Content Can Improve Your Sales. Visit my YouTube channel to see more actionable marketing tips. Check out the testimonials from Social Media Marketing World 2013. What do you think? What are your thoughts on building a mega-following? Please leave your comments below.